A wedding planner may sometimes be included within your reception package and will be there to help keep the evening running to schedule. But if you would like some help in the lead up to the wedding as well, with the planning and details, you should look into a separate wedding planner within the Hunter Valley. Wedding planners already have many contacts within the wedding industry so, among other things, getting quotes and availability times is made much easier with a planner. Speak to some of the wedding planners in our directory to see how they can help you. Getting married in the Hunter? 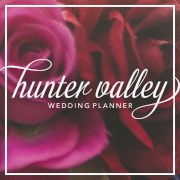 Look no further than ‘Hunter Valley Wedding Planner’ magazine, the most comprehensive wedding directory for the entire Hunter Region. Covering Wine Country, Maitland, Singleton, Upper Hunter, Newcastle, Lake Macquarie, Port Stephens and the Central Coast. 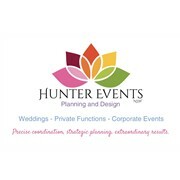 Looking to have any form and size of event in the Hunter Valley? I have an extensive bank of vendors that I negotiate hard with to ensure maintaining quality but getting great deals and events created at the best rates for the best quality in the market place across all fields. As with everything Margan, we want your celebration to be a stylish, yet relaxed affair. We offer a unique wedding destination for the discerning couple who appreciates quality food, great wine and friendly, intuitive service. Margan has that all important 'wow' factor and has quickly become the Hunter Valley's most sought after wedding venue. It is important to us that your wedding day be truly unique and is remembered by all for years to come. After all memorable weddings don't just happen, they're planned! The best part of using the help of a company like TLC Design and Events is that you can get as little or as much help as you need.